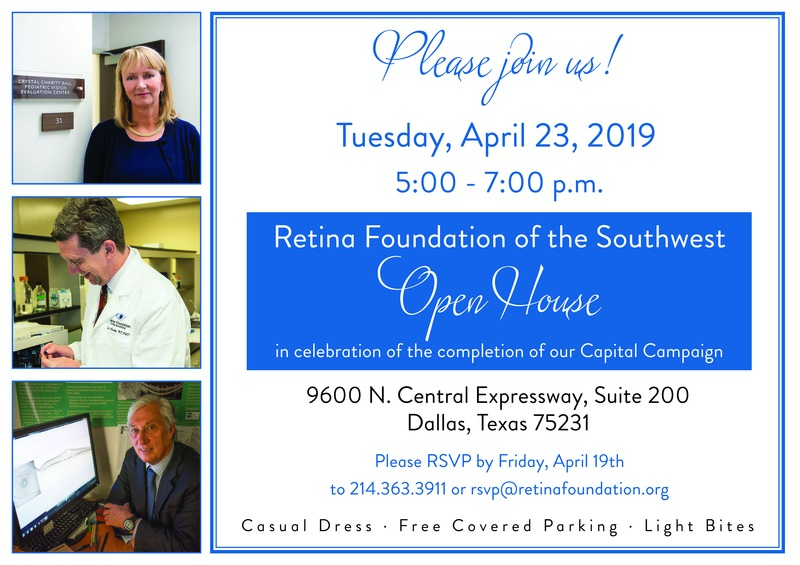 The Retina Foundation of the Southwest acquired and renovated a new clinical research center in Dallas, Texas thanks to tremendous help from the Board of Directors and generous support from foundations, companies, and individuals. Join us at the Open House after work Tuesday, April 23rd to celebrate the completion of the building campaign! Copyright © 2016 Retina Foundation of the Southwest -- All Rights Reserved.